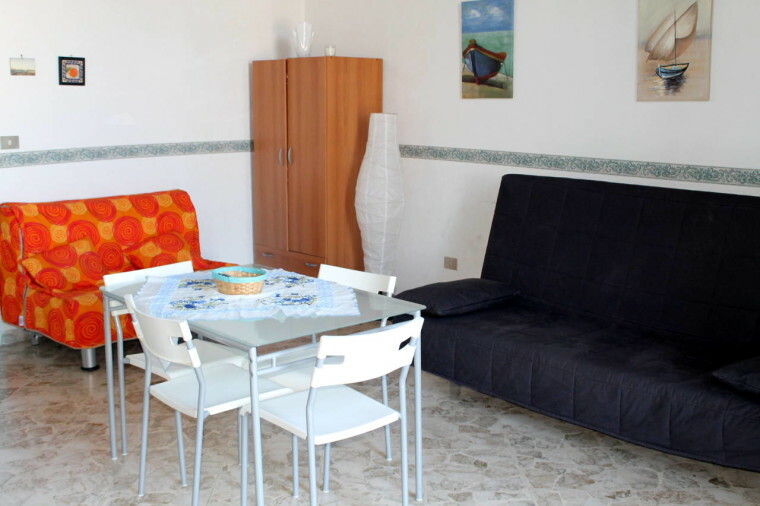 La loggia di Paola is an home holidays perfect for guest who want to spend few days in Puglia. 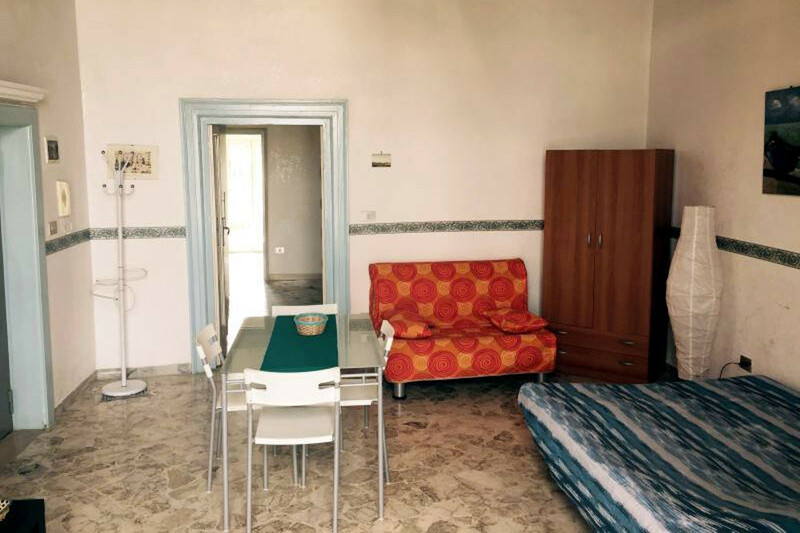 Our house is located on the harbor, in the Old Town, nearby the ancient Cathedral of Trani and the Castle of Federico II (Holy Roman Empire). 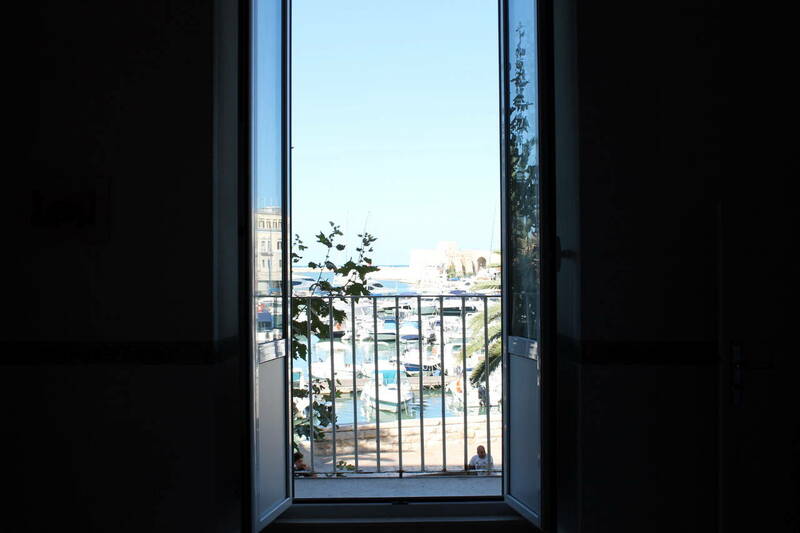 The house has 2 entrances: the main one on the harbor, the back one on the historical site of Piazza Teatro. The view from the balcony is outstanding: the Adriatic sea, a lot of boats moored, the imposing Cathedral on the sea, historical buildings and people walking. The harbor is the focus of nightlife. It is possible to find delicious restaurants, pizzeria, american bar, ice-cream parlor and so on. We are open all year. 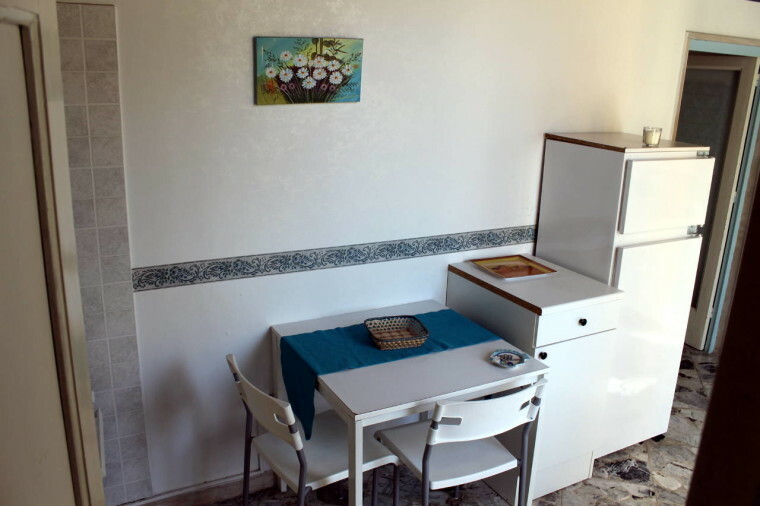 You can rent this house for short or long periods because it is equipped to satisfy every needs. 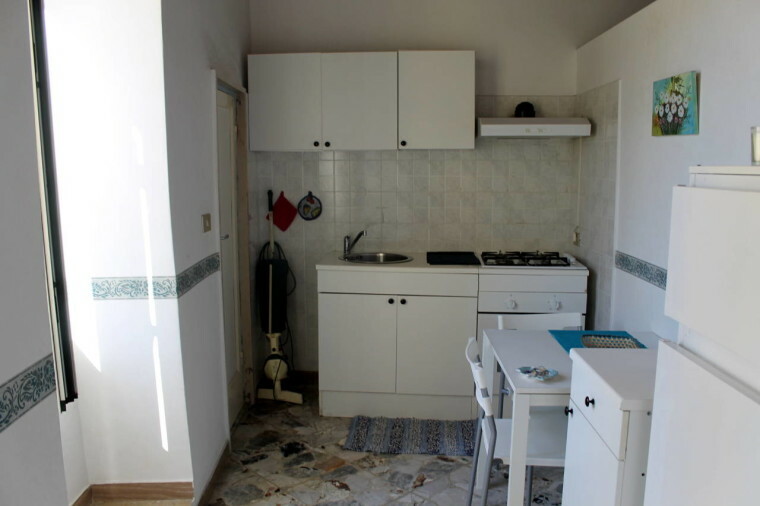 If you want to cook fresh food you can do it yourself because in the house there is a complete kitchen available. You can prepare breakfast, lunches and dinner or, if you prefer, you can go in one of the historical bars and restaurants here! 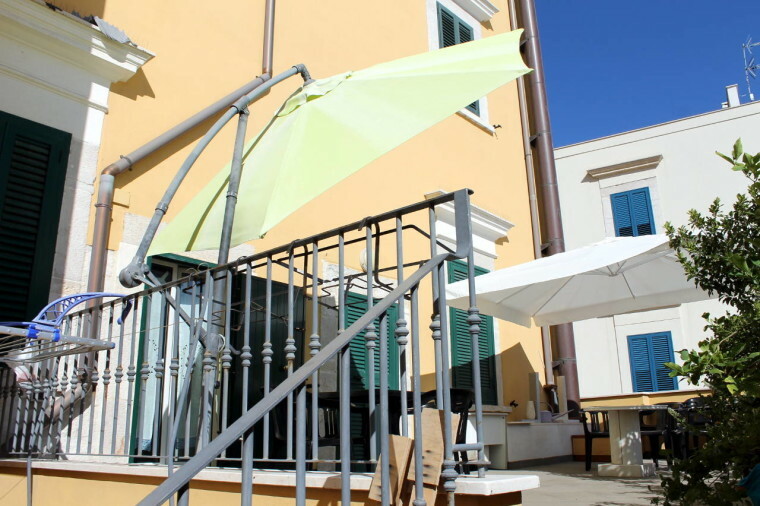 If you prefer to eat something outdoor you can stay on our beautiful veranda with an eye on Piazza Teatro. You can eat drink and relax! If you don’t want to cook don’t be afraid: go downstairs and choose your favourite restaurant! 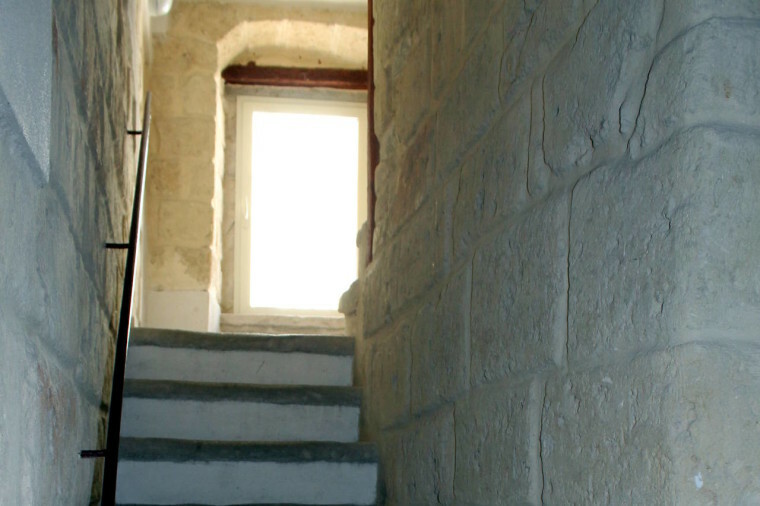 You’ll be surrounded by churches, museums, ancient buildings and place of historic interest. 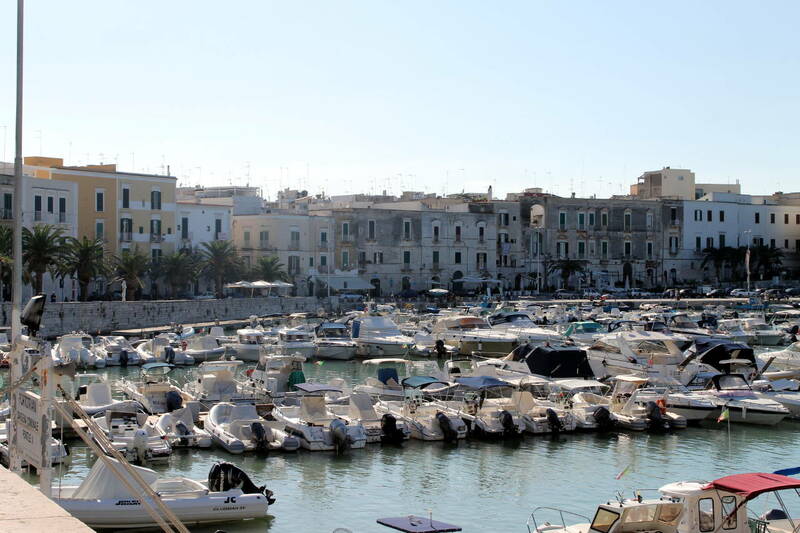 You’ll enjoy a breathtaking view: small boats moored, night clubs and the magnificent Cathedral of Trani. 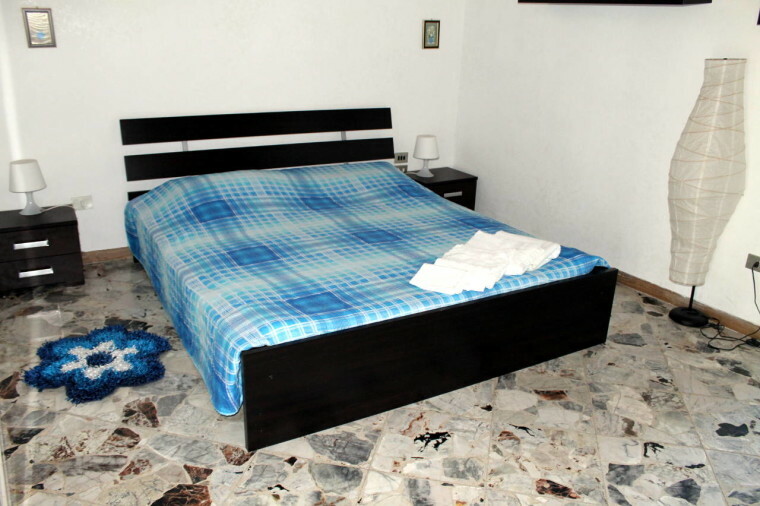 Our house is located in the old town and it is surrounded by churches, museums and nightlife! 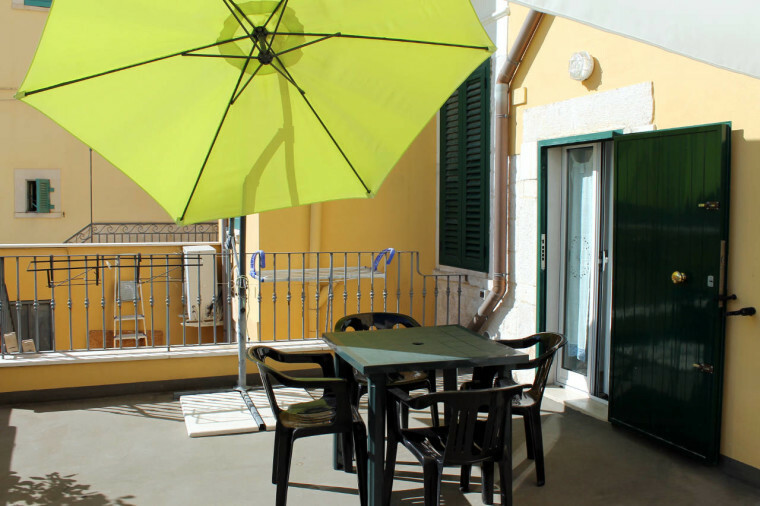 La loggia di Paola has an entrance which is located on the harbor of Trani, in the old town. 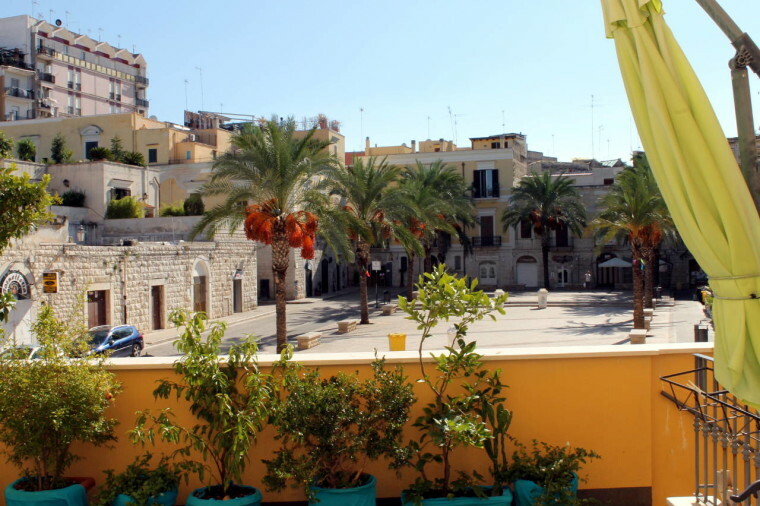 You have a veranda that overlooks the historic Piazza Teatro where you can relax, eat or take a drink. The streets around our house are full of typical places to satisfy your shopping needs. 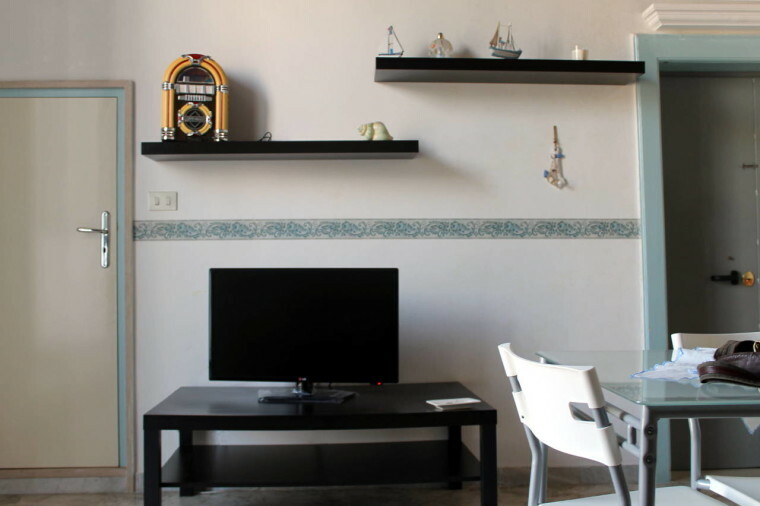 Our house has a fully equipped kitchen and is surrounded by a lot of places to eat and drink something. 1 LCD TV in the living room + 1 TV COLOR in the bedroom. Small animals are usually allowed with permission. Please notify their presence before reservation. Trani is a city full of churches, museums and historical sites. Even the neighboring cities are full of places to visit and admire: Castel del Monte (depicted on 1 cent euro coins), the Cathedral of Andria, the Castle of Barletta, Chiesa del Purgatorio in Molfetta, … why don’t enjoy a vacation also visiting some beautiful places? 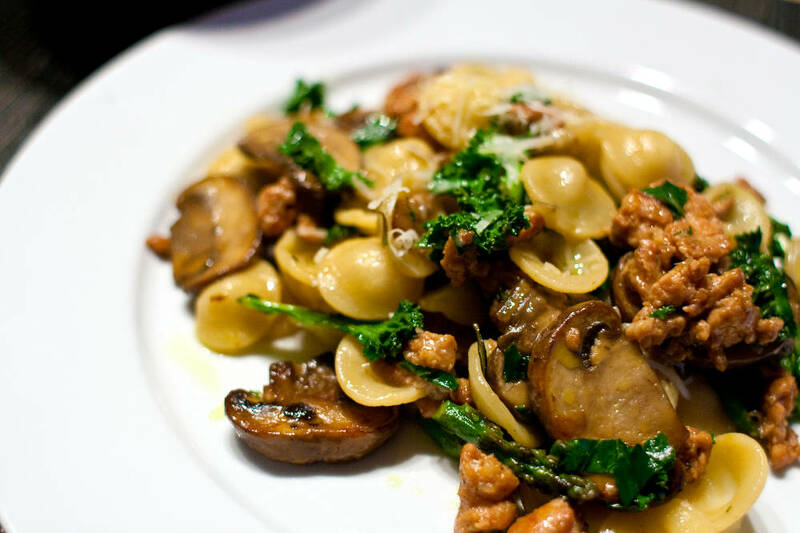 At breakfast, lunch and in the late evening … it’s always a good time to taste delicious italian food! 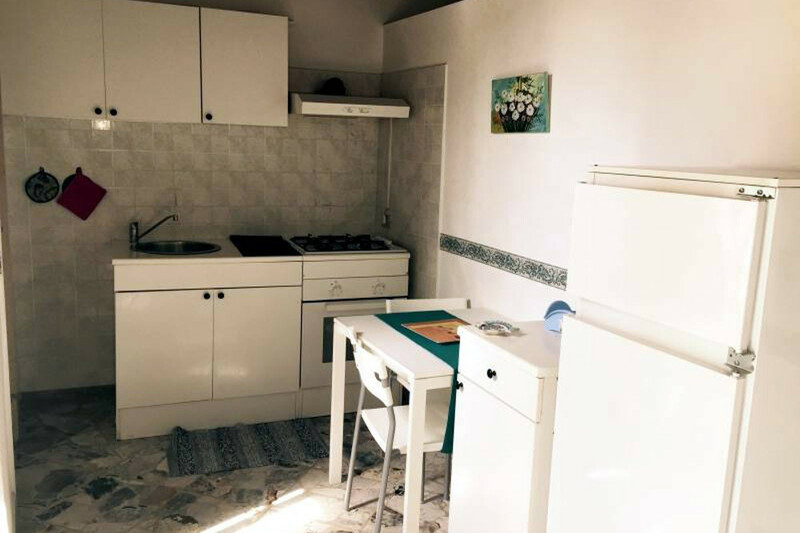 La loggia of Paola has selected for your taste some agreed upon places in order to offer to its guests a unique culinary experience! The Cathedral of Santa Maria del Fiore is the main place of Catholic worship in the city of Trani, in Puglia. 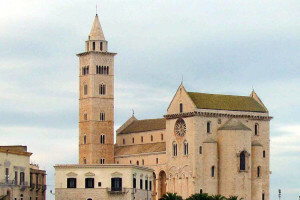 It is the cathedral of the Archdiocese of Trani-Barletta-Bisceglie. 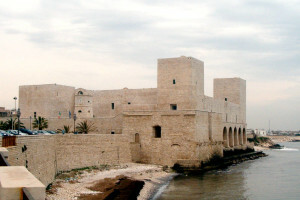 Included in the list of “Italian wonders”, it is an example of Apulian Romanesque architecture. 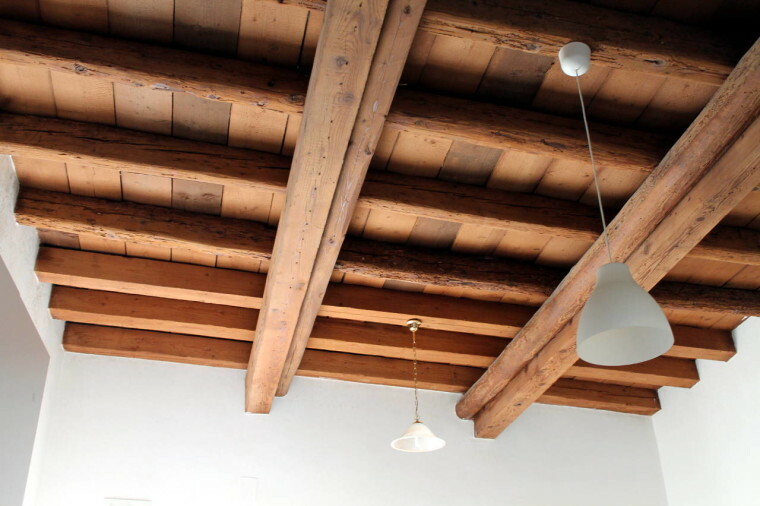 Its construction is related to the history of St. Nicholas Pellegrino, dating back to the Norman era. 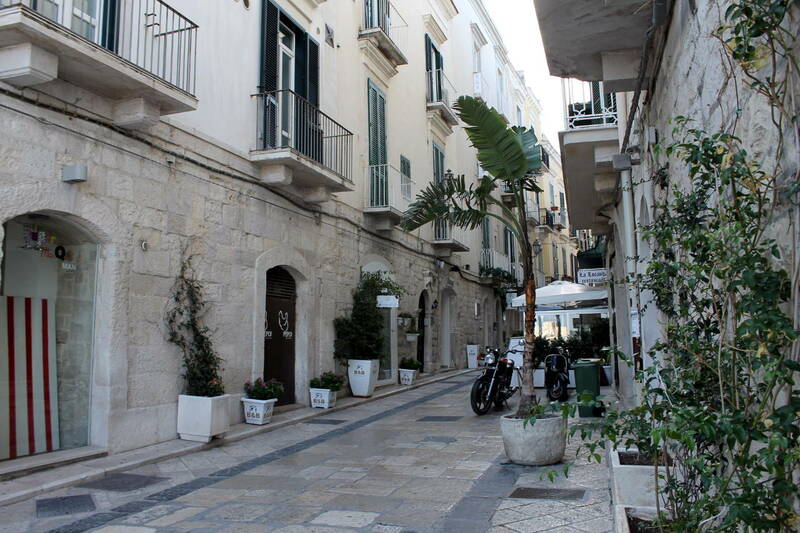 It was built using stone from Trani, a building material typical of the area: it is a tufa, quarried in the city, characterized by a very light pink color, almost white. The church is distinguished by its striking transept and the use of the pointed arch in the passage under the bell tower, the phenomenon is not very common in Romanesque. 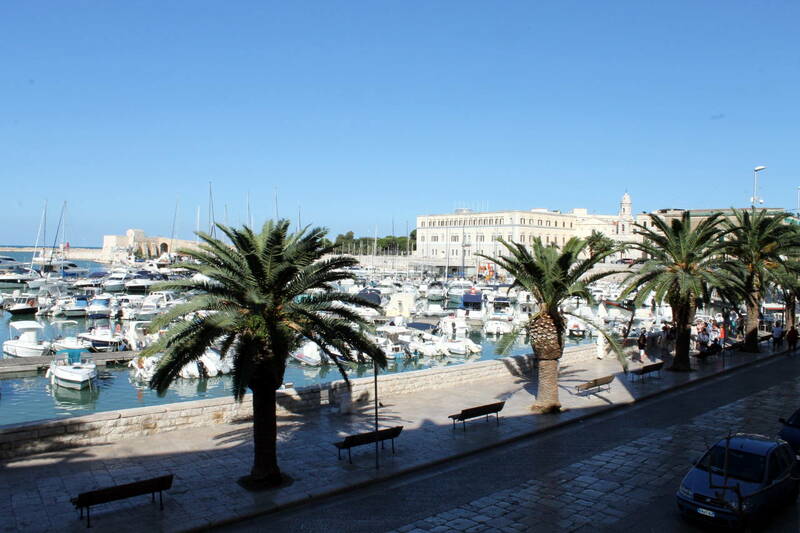 The Swabian castle of Trani was built in the town of Trani in 1233, under the reign of Frederick II of Swabia. 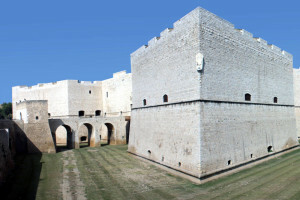 Construction began in 1233 and the fortifications were completed in 1249, according to the draft Cinardo Philip, count of Conversano and Acquaviva, great constable and military engineer of the Emperor, and edited by Stefano of Romoaldo Carabarese, with fortifications “in front and around the castle”. 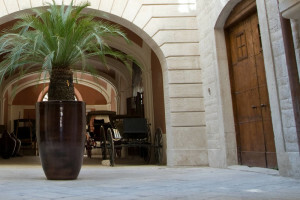 The carriage museum is located in Piazza Quercia in Trani, 30 meters far from our house. This museum houses has an impressive collection of around forty coaches and their finishes, borders, etc., Ordered in the eighteenth century palace Antonacci. Castel del Monte is a building of the XIII century built by Emperor Frederick II in Apulia, in the hamlet of the town of Andria, 18 km from the city, near the town of Santa Maria del Monte, in the province of Barletta- Andria-Trani. It is located on a hill in the western chain of the Murge, 540 meters above sea level. It has been listed as national monuments Italians in 1936 and in that of UNESCO World Heritage Site in 1996. 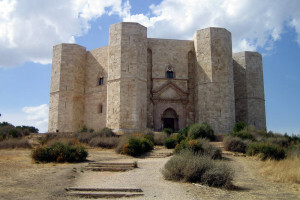 In 1998 the silhouette of Castel del Monte is chosen for the 1 eurocent, coined for Italy. The castle of Barletta is the result of a series of architectural stratifications due to the succession of several dynasties in power, successive eleventh century to the eighteenth century. It was a fortress for defensive purposes, surrounded by sea that occupied the moat around the castle and isolated him from potential enemy attacks. It is a strategic point in the city life and a major urban core. It houses the town library, the municipal museum and a conference hall and exhibitions. Among the works, over an alleged bust of Frederick II of Swabia in limestone, dating from the thirteenth century, is here placed the sarcophagus of the Apostles, high-relief stone first evidence of Christianity in Barletta, dating from the period between the third and IV century. 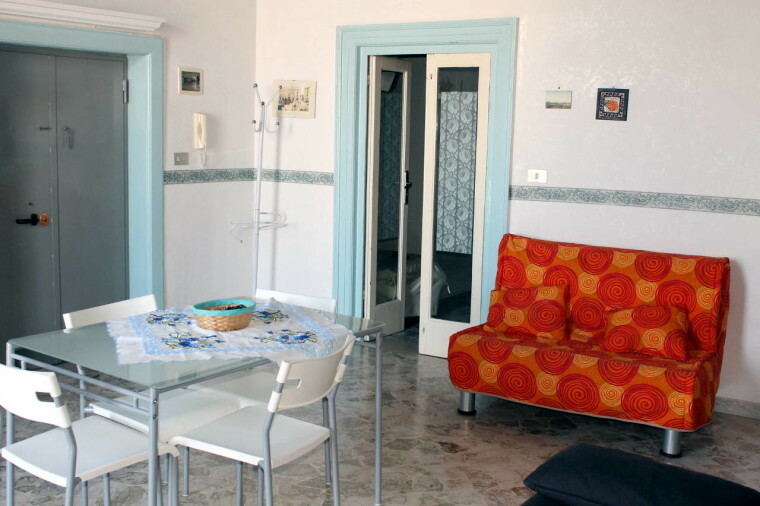 Molo 4 is located few steps away from our house: it is known for its fantastic breakfasts with sea view. 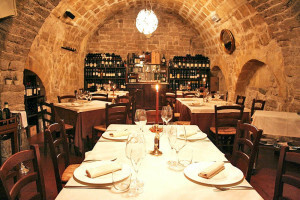 It is open for lunch and dinner, until late, and offers to its customers a lot of drinks, reinforced aperitifs and dishes from Puglia. The restaurant “Gallo” is located 20 meters away from our house and has the undisputed reputation as the leader in the seafood restaurant. No one better than Alessandro, the owner, can know what the fish in the usual morning tour along the landings of fishing vessels has found and that simply is prepared by the expert hands of the chef Mario Musci. Since its opening, the restaurant “Gallo” is a popular destination for people from the world of entertainment, culture, politics, at all levels. If you love burgers, refreshing drinks and summer premises, all seasoned with great music, no doubt about it: your destination is Portulaca. 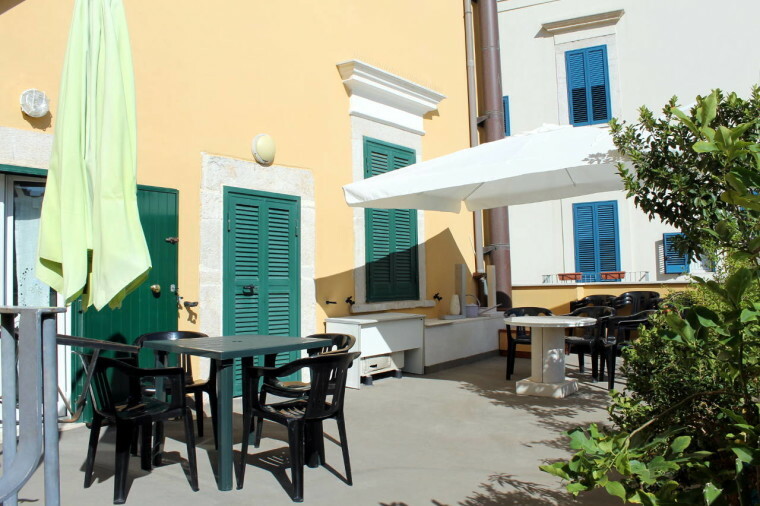 Located on the harbor of Trani, about 50 meters from our house, Portulaca is open every summer evening and is ready to meet the culinary needs of the youngest! 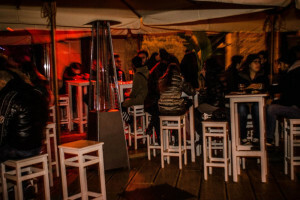 Tandem is an American bar in Trani and is the meeting point for young people: Each week hundreds of boys meet here for the pleasure of being together, enjoying a cocktail or a glass of wine chatting with confidence. The place is a mix of fashion and tradition: stone walls and warm embrace, colored a vivid red that makes the atmosphere even hotter. There are numerous weekly appointments, always different and appetizing. 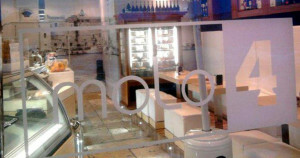 L’Altro Molo is a fine restaurant, a pizza place that prepares wonderfully good pizzas and a tasty grill restaurant! The specialty of this restaurant is the pizza, which is slowly rising: less than 72 hours! This natural yeast will allow a very high digestibility and lightness of pizza … you will not want to taste it? 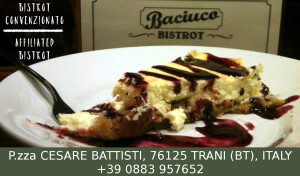 Baciuco is more than just a bistrot: it is a lifestyle, a way of thinking! 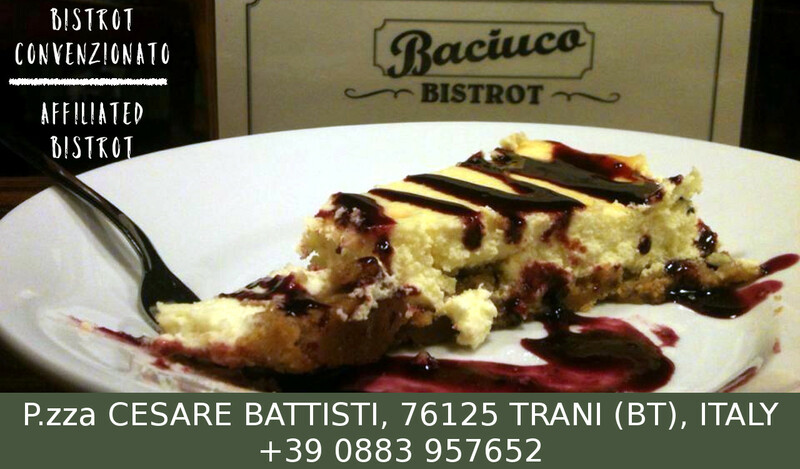 Baciuco is certainly the ideal place to take a delicous breakfast of coffee, cappuccino, espressino, fresh croissants, cakes, pastries and fruit juices! Obviously you’ll find there delicious lunches, cocktails and dinners, even outdoors overlooking the cathedral bell tower. To customers who request it, Baciuco bring breakfast directly into your room, thanks its special room service agreement with La Loggia di Paola. Do you want more informations? Please get in touch with us! Get in touch with us sending a simple email! 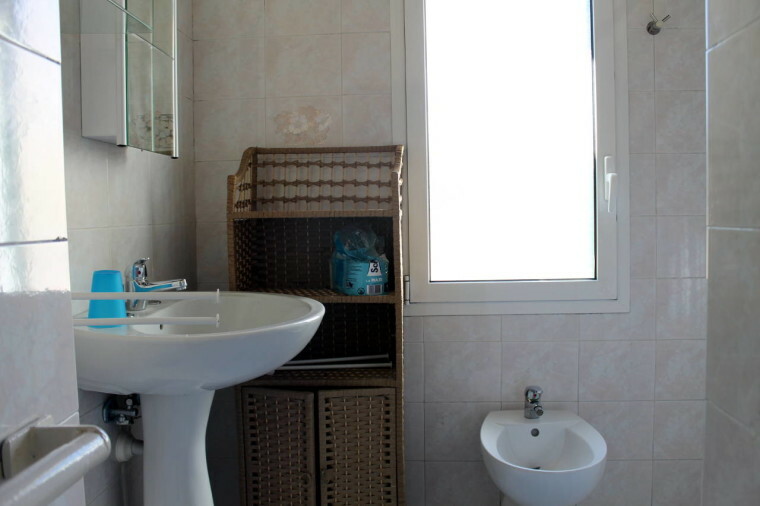 Insert here your address and we’ll show you the directions to reach La loggia di Paola! 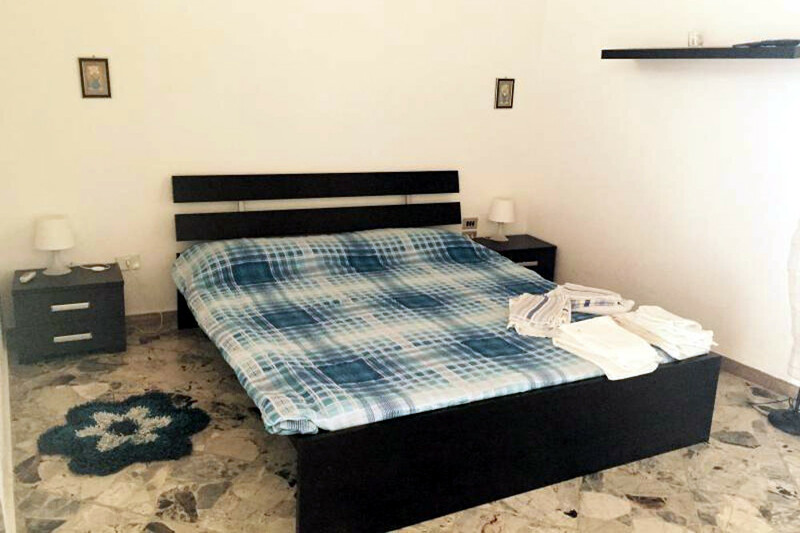 Send us a message with a reservation request and we will reply on the availability of our structure. Purpose: It used to check if the web browser is set to allow or decline cookies.